Gregory Smith graduated from Cabrini College with a Bachelor of Arts in Communication and a minor in Philosophy; a combination that exemplifies his passion for media and his love of knowledge. During his time at Cabrini, Gregory has learned a vast number of skills that will enable him to succeed in his future career. Gregory was very active in the department, serving as the News Editor for Cabrini’s weekly newspaper The Loquitur, the Audio Technician for Cabrini’s news program LOQation, and the SEO Director for ServingFoodSolutions.com. 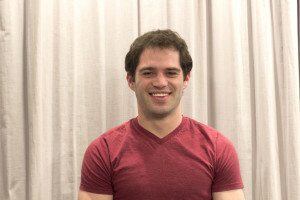 On campus, Gregory was a three-year Resident Assistant and played on the club lacrosse team. Gregory plans on using the knowledge and skills he developed throughout his time at Cabrini to find a career that will enable him to travel, allowing him to gain a global perspective while doing what he loves. To connect with Gregory, follow him on Twitter. To contact Gregory directly click here.